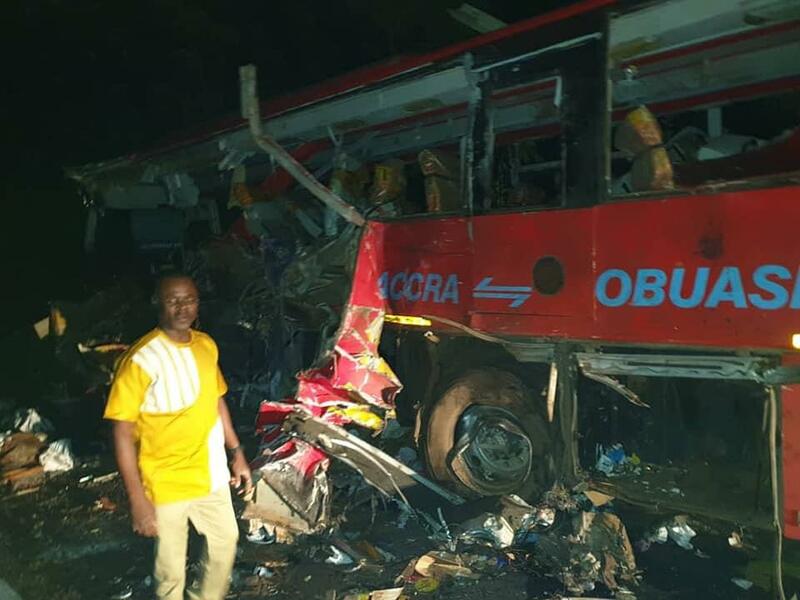 Ghana woke up yesterday to one of her most devastating news involving various accidents at different locations of the country, with the largest casualties recording the largest death toll being that which took place along the Kintampo stretch near Amoma Nkwanta. What was even devastating remains the fact that majority of those involved are from the Garu Constituency of the Upper East Region. The loss of these precious lives in the history of our constituency at a go remains a harrowing experience to us, more especially the families of the deceased. While the nation mourn, we saw, as a nation, a rather unfortunate expression of carelessness, recklessness, extravagance, opulence, and a clear lack of human and fellow feeling from the top echelons of power of our government. Yesterday, even though news of the accident, especially that of Kintampo was reported in the early hours of the day, the government, and the Finance Ministry, though had a day earlier published notices of holding a feast to make merry over the nation’s floating of bonds (acquisition of debt), one would have thought that the disasters that had swept close to 80 lives, would have caused an indefinite suspension of this event. However, in a show of power at the top level of government, an expensive feast was held amidst merrymaking charged on the taxpayer, when the nation was mourning the departure of its industrious citizens across the country. I mean who, with his head properly placed does that? Should a man whose house is on fire go about chasing rats instead? One would easily recall how the nation was led rightly, to join the people of New Zealand, far away, to mourn the loss of citizens of that country following the cowardly terror attacks. Following that expression just a few days ago, we would have expected a more caring and sober mood of government in the death of about 80 of its citizens in just two road accidents. Is it the case that the government cares less of the people of Garu who have greatly been affected by these accidents? Because in other jurisdictions, as witnessed in New Zealand a few days ago, the president upon hearing of this tragedy would have cancelled all activities of the day to attend to survivors and console bereaved families. What do we see here, a totally unacceptable behaviour from our President (celebrating successful borrowing hmmmm). What at all has Garu benefited from this IMF after he took power? Nothing and I mean nothing. The little investment Mahama started (building a district hospital) has been taken away by Nana. To add salt to injuries, the President decided to hold a party at the time the suffering people of Garu were mourning their love ones. I wish to take this opportunity to thank the management and staff of the Techiman Holy Family Hospital for the good work done. They were able within several constrains to stabilise the numerous cases and prepare those who needed referral to be transferred. The difficulty however, was how to evacuate them. This is where I needed My President to act. Unfortunately he rather decided to slap us in the face. This is unfortunate, and must be spoken against by all well-meaning Ghanaians who have sympathy and feeling for their fellow humans in times of grief. 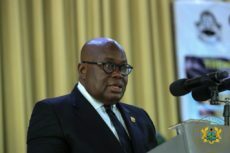 the memories of yesterday’s tragedies will also forever remain in our hearts, the uncaring, opulent and inhuman behaviour of President Nana Akufo Addo should also forever remain in our hearts. We will never, and should never forget nor forgive Leaders who choose to party when their people need them most.